Apple unveiled an update to its popular smartphone on Tuesday at a press event at the company's headquarters in Cupertino, Calif. 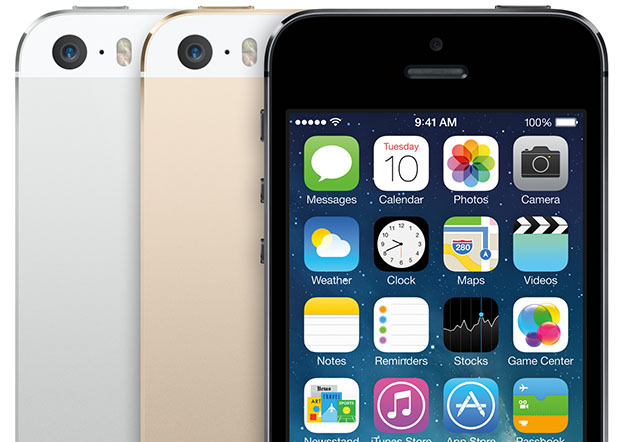 The tech giant announced the iPhone 5S and iPhone 5C -- two very different phones. Apple chief executive officer Tim Cook started off by saying, "In the past, when we've launched a new iPhone, we lowered the cost of the old iPhone, making it more accessible to new people. But this year, we're not going to do that." Instead, Apple introduced a lower-cost iPhone 5C alongside the iPhone 5S -- the company's flagship smartphone. Apple senior vice president Phil Schiller took the stage to announce the iPhone 5C. The new device is made of plastic and has a 4-inch display. It has a hard-coated polycarbonate design, is steel reinforced and has a multi-band antenna. It comes in five colors: green, white, blue, pink, and yellow. The iPhone 5C will cost $99 for a 16GB model or $199 for a 32 GB model, with contracts. A colorful variety of cases will cost $29. The iPhone 5C will go on sale on Sept. 20, with pre-orders starting on Sept. 13. The iPhone 5S has a 4-inch display and comes in silver, gold and a color called space gray. The hardware has been upgraded to an A7 chip, and is the first smartphone to be 64-bits. "The PC world made the transition from 32 bit to 64 bit and it took years. Today you're going to see that Apple is going to do it on one day," Schiller said. Schiller says the iPhone 5S's CPU performs 40 times faster than the original iPhone. The new iPhone will also include a brand new chip called the M7, which is said to continuously measure motion data. The chip supports the accelerometer, gyroscope and compass. Schiller says the iPhone 5S's battery life has improved, and will have 10 hours of LTE and Wi-Fi browsing, 40 hours of music and 250 hours of standby time. The iPhone's camera is getting a major upgrade. Apple is increasing the pixels to 1.5u to capture more light. The camera will also autodetect white balance as soon as the app is launched, and include burst mode and true tone flash. It also features a new image stabilizer and slow-motion video. Just as the rumors suggested, the new iPhone will include Touch ID -- a fingerprint sensor built into the home button. The sensor scans sub-epidermal skin layers and will have 360-degree readability. It is about 170 microns thin, with 500 ppi resolution. The fingerprint sensor can be used to unlock the iPhone or make purchases. "Your fingerprint is one of the best passes in the world. It's always with you, and no two are exactly alike," Apple senior vice president Jony Ive said in a promotional video. The iPhone 5S will come in three models: 16 GB for $199, 32GB for $299 and 64GB for $399, with a contract. The phone will go on sale on Sept. 20. Apple also announced details of its completely redesigned mobile operating system, iOS 7,that will be ready for download on Sept. 18.